The Pentagon’s new thick book of instructions for waging war the legal way says that terrorists also can be journalists. 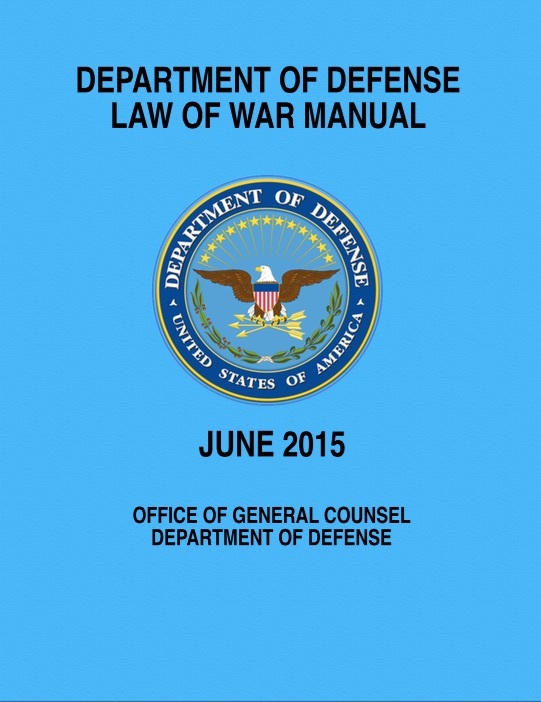 The description appears in a 1,176-page, richly footnoted “Department of Defense Law of War Manual” that tells commanders the right and wrong way to kill the enemy. It says it’s OK to shoot, explode, bomb, stab or cut the enemy. Surprise attacks and killing retreating troops also are permitted. But a U.S. warrior may not use poison or asphyxiating gases. 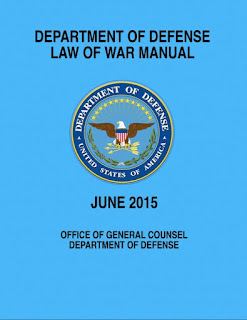 Going back decades, this is the Pentagon’s first comprehensive, all-in-one legal guide for the four military branches, who over the years had issued their own law of war pamphlets for air, sea and ground warfare. An eye-catching section deals with a definition of journalists and how they are expected to stay out of the fight.